The Perfect Gift for a Stylish Wrist! 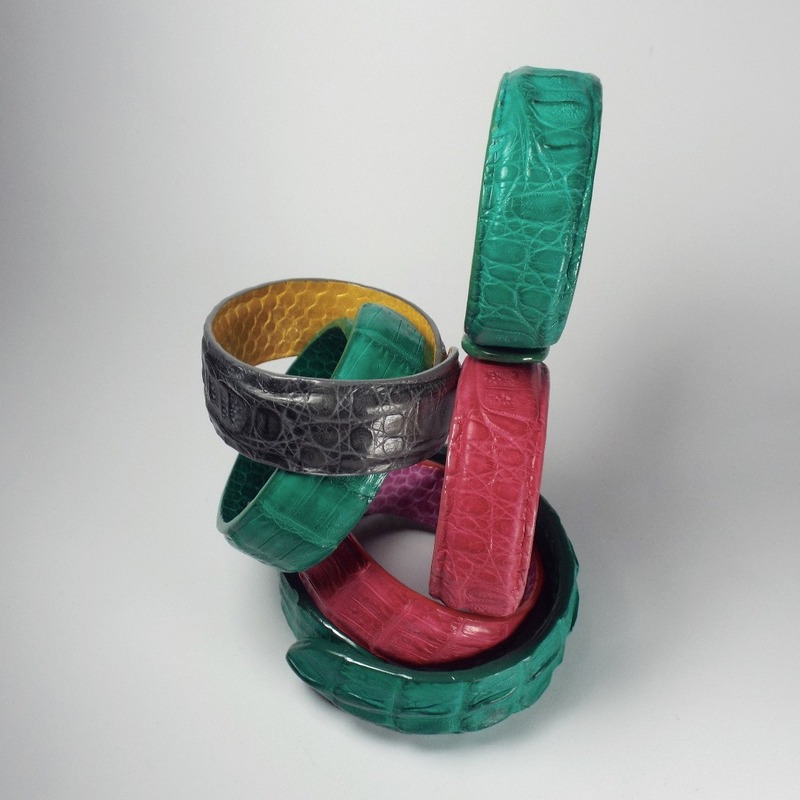 The outside of these bracelets is covered in natural cayman skin, the inside is lined with sea snake skin and is embossed with ‘MMzS’. The bracelet is incredibly easy to open, close and wear as each end of the bracelet has a magnet hidden in between the layers of leather that keeps the bracelet securely in place. While it is quite a statement - the bracelets have been known to be worn by stylish gentlemen as well! Please note that the pattern on each bracelet is different depending on the piece of skin used - i.e. back-cut, belly-cut or tail. Please contact us to find out which colours and sizes we currently have on stock! 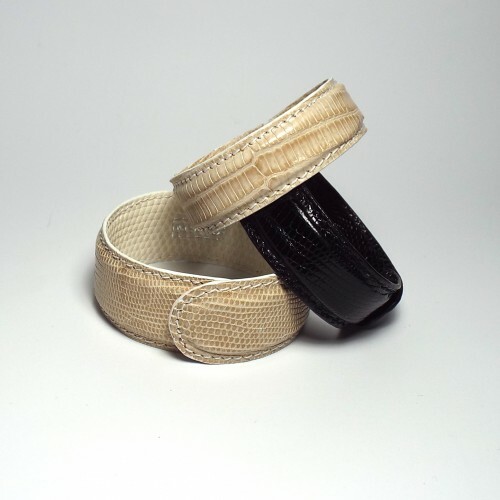 Material: outside natural cayman skin, inside sea snake skin. The skins are compliant with the Convention on International Trade in Endangered Species of Wild Fauna and Flora (CITES). Free delivery on any orders in the UK. Standard UK delivery time is 2-3 days for pieces we have on stock. Please allow 4-6 weeks for pieces that are made to order.